Mobi Weather Safe is a tough & durable exterior finish which provides protection to all types of masonry work against severe weather conditions. It also controls moss growth. The special pigments contained with ensure that it dose not fade too soon to allow for a more long-lastning finish. MAIN USES: Most suitable for all types of exterior surfaces such as plaster,concrete, brick & pebble dash etc. It is resistant to al weather hazards. It is also a superior finish for interior surfaces. COLOR RANGE: Please refer to standard Color Card. COVERING CAPACITY: 10-13 m2 / litre per coat. PACKING: 16 Litres 4 Litres 1 Litre. Remove mould & algae patches with hard brush and wash the surface with domestic bleach solution (1 part bleach + 1 part water). After 3 days once again wash surface with water to remove traces of chlorine and let it dry. 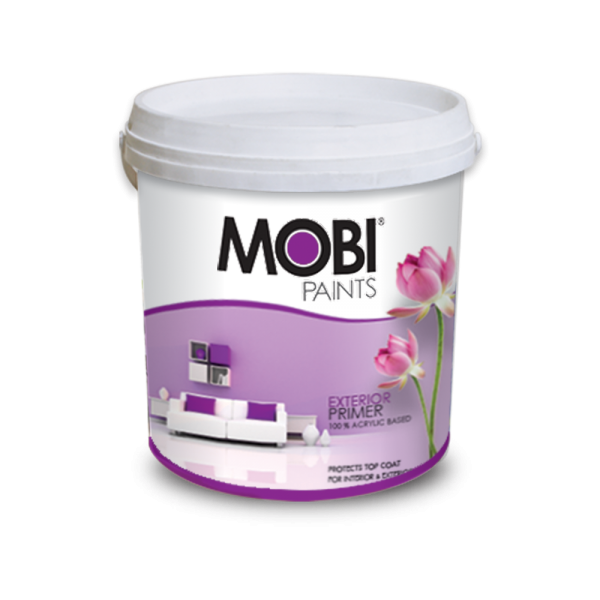 Apply one coat of MOBI Undercoat, let it dry hard. 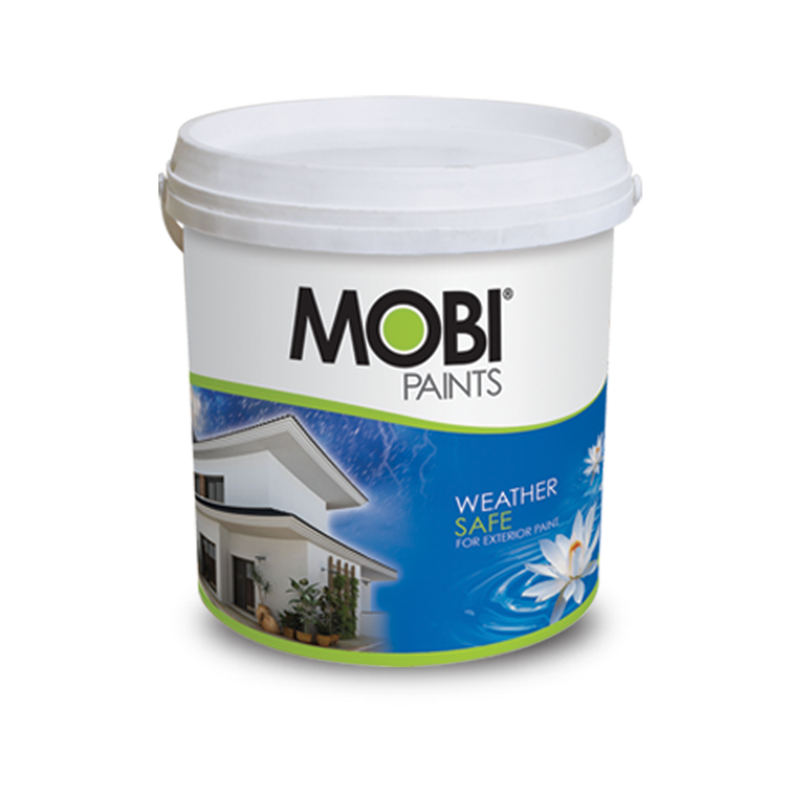 Then apply 2 to 3 coats of MOBI Weather Safe. 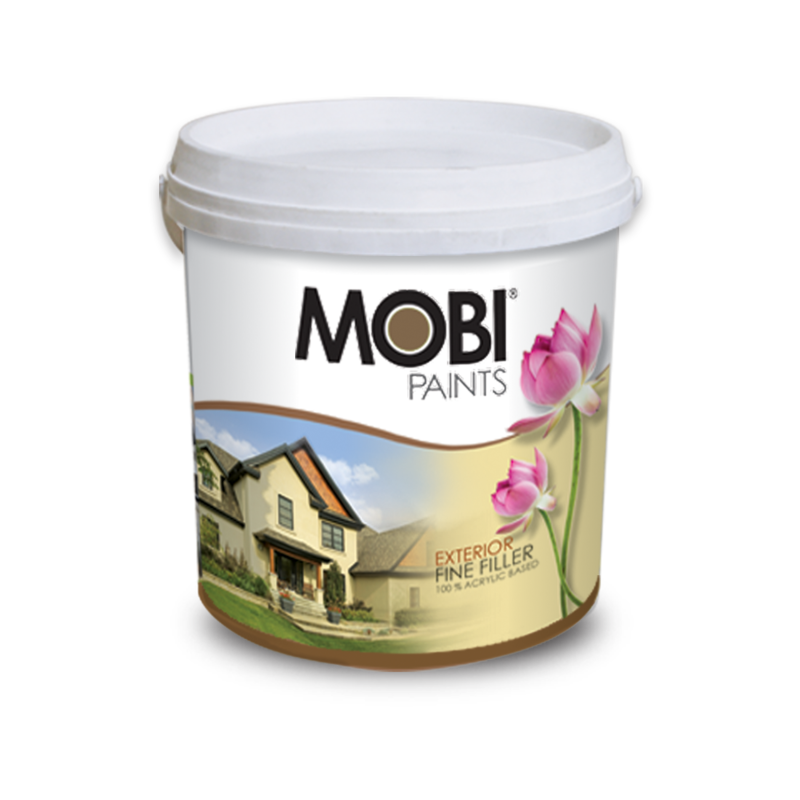 If the existing paint is sound, MOBI Weather Safe may be applied direct after normal cleaning. If the old paint is loose or flaking, defective material should be removed by scraping. Finally,apply 2 to 3 coats of MOBI Weather Safe. Please note that filling putti on the exterior surfaces is not recommended, use plaster/cement mix for removing surface defects. Ideally, thin 4 litres of MOBI Weather Safe with 2-3 litres of clear water. However, high porosity surfaces will require more thinning than low porosity surfaces. Before use, mix thoroughly to ensure that all the pigments are evenly dispersed. Thinning should be done under constant stirring. Apply 2-3 coats of MOBI Weather Safe allowing 2-3 hours between coats. Keep paint container air tight after use and store in a shady & dry place. Scrape excess paint out of brushes and rollers before cleaning. Wash all equipment immediately after use with clean water or a mild detergent solution. Shake excess water out then wrap them in a piece of clean cloth. Doing so will revive your brushes back to original. Do not dispose-off excess paint into drains or watercourses,disposal should be done in accordance with the environmental regulations. If paint spills on to your body or in your eyes,wash thoroughly with clean water and seek medical advice. Spots and splashes should be washed off before they have dried as MOB I Weather Safe is resistant to water and washing,once it is dry.